Short Business Description: Aevitas Specialty Services Inc. was established in Detroit Michigan as a subsidiarity of Aevitas Inc. to provide Oil recycling and waste water treatment services throughout the United States. Our experience spans over 50 years of environmental management and recycling. Aevitas Inc. is a Canadian Industrial Waste Management Company providing treatment and disposal options all across Canada. Short Business Description: For over 25 years Bio-Chem Laboratory has been providing quality environmental analysis (soil, air and water) and beer analysis lab services to Grand Rapids, West Michigan, the Great Lakes region, the Midwest – and beyond. But, we’re no ordinary lab. From the very beginning we’ve dedicated ourselves to providing customer service the industry rarely sees. We want you to know there are people behind the science. People willing to make sure you receive personalized customer service. We have been – and always will be – a family run business. That means a lot to us. Needless to say, quality assurance and reliable results (comprehensive QA/QC programs ensure it) are paramount, and we have the experience to back that up, however, what separates us from the big labs is the availability of our people. Need to talk to a technician? Done. Need to talk to the lab director, or CEO? Done. Need a local pick up or delivery – at NO charge? Done! You’d think this type of service is pricey. Think again. Not only do we have fast turnaround times with rush service if necessary, but our prices are competitive with anyone out there. Plus, no contracts or minimums. We don’t even charge for our sample containers. Who else does that? Short Business Description: In an ever-changing environment, having a tried and tested process is critical to achieving favorable results. The professionals at Brown & Brown of Detroit have built a dynamic process to address the varying needs of our clients, including the use of proprietary tools that identify policy gaps, plan design options, and contractual issues. The advantage is our people. The difference is our process. 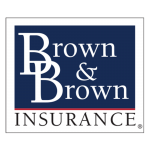 Brown & Brown is one of the largest and most respected independent insurance intermediaries in the world. Our corporate culture is built on integrity, innovation, capabilities, and the stability we leverage to thrive in the very competitive insurance industry. This unique culture enables us to quickly adapt our products and services to best meet your needs. Short Business Description: With over 3,000 geographically diverse clients that are active in national and international markets, you can trust that our firm is equipped with the ability and expertise to provide a wide-range of services. These areas include:business, construction, governmental, labor & employment, real estate, and tax. Short Business Description: DTE Energy is a Detroit-based diversified energy company involved in the development and management of energy-related businesses and services nationwide. Short Business Description: Energy Renewal Partners’ experienced team provides the entire spectrum of environmental and consulting services to energy sector clients. At ERP, we pledge to provide distinctive, quality and unparalleled customer service as we strive to gain the respect and trust of our clients, suppliers, and partners. Short Business Description: ERG Environmental Services stands at the forefront of waste management and remediation services. For over 25 years, customers have come to us with an array of issues – small, large, complex, dangerous – and everything in between. What makes ERG unique, what we stake our reputation on, is our ability to respond to those situations with precision. With the most talented engineers, technicians and specialists, and with all the facilities and equipment to match your needs exactly. From full-service recycling; material recovery, disposal and storage; comprehensive hazardous materials management and transport; and total site cleanup and remediation, ERG delivers solutions and capabilities quickly, cost-effectively, and with obsessive safety and professionalism. Short Business Description: Goodwill’s Green Works is an industrial recycling facility on Detroit’s east side. Green Works operates as a subsidiary business under Goodwill Industries of Greater Detroit. They provide asset recovery services that help save money and are safe for the environment. Goodwill’s Green Works helps prepare individuals with the skills for middle-class factory employment positions. It provides real life experiences in a professional environment. Green Works offers both transitional work experience and independent employment opportunities for individuals in our programs, and in the community. Goodwill’s Green Works provides a second chance for employees and trainees to redirect their own lives in a more productive and meaningful way. Short Business Description: HM Environmental Services, Inc. is a full-service, environmental, remediation contractor with over 75 combined years of experience. Staff consists of highly qualified and experienced personnel to manage your environmental concerns safely and efficiently. We are committed to meeting the customer’s requirements on safety, complying with all OSHA and Federal Regulations. HM Environmental conforms to he highest standards set throughout the industry. All employees have completed 40-hour HAZWOPER training and associated refresher courses. The number one goal of HM Environmental is remaining committed to project expertise and customer relations. Our objective is to remain on the leading edge of technology requiring the skills and equipment of a contractor. When you select HM Environmental, we assure that your needs are met in the most economically, environmentally sound, and cost effective way possible.